This book is Stevenson's third full-length narrative, an action romance set in the imaginary Germanic state of Gruenewald. The novel is first published in 1885. 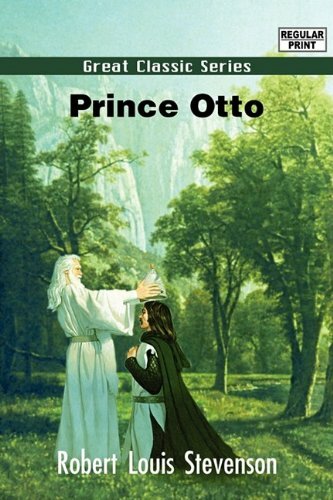 Robert Louis Stevenson referred to Prince Otto as 'my hardest effort'. 'David Balfour' is the sequel to 'Kidnapped', and starts where Stevenson's more famous book ends - with Balfour in Edinburgh, standing remorseful outside the offices of the British Linen Company. From there begins a rollicking series of adventures. Stevenson had written all but the very conclusion of this work at the time of his death in 1894. In order to conclude the story the publisher enlisted the talents of Sir Arthur Quiller-Couch who supplied the last few chapters. Stevenson's exploration of human evil, Strange Case of Dr. Jekyll and Mr. Hyde, is a synonym for the split personality. This dark fantasy is a product of its time, based on theories of evolution, class, and the secrets of the soul. by Robert Louis Stevenson, Lloyd Osbourne - Longmans,Green & Co.
A black comedy novel first published in 1889. The story is about two brothers who are the last two surviving members of a tontine. The book is notable for being the first of three novels that Stevenson co-wrote with Osbourne, who was his stepson.